Whether you have been diagnosed with celiac disease, or not, you may be staying away from gluten because of the way it makes you feel. Many experience stomach discomfort and brain fog after eating food with gluten in it. Whatever your reason for avoiding it, you have probably found that saying goodbye to gluten is harder than you thought it would be because it seems to be hidden in everything. 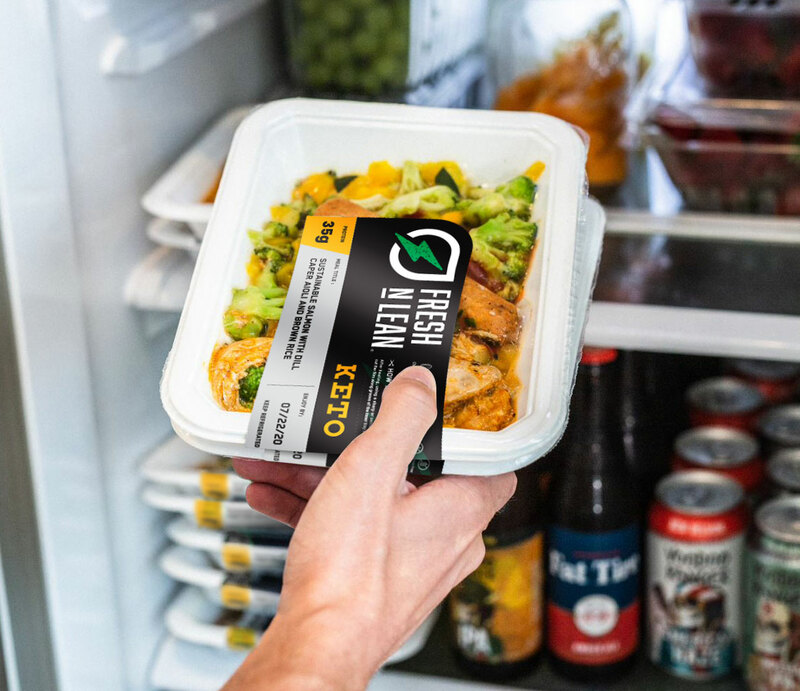 Well, gluten is not something you have to worry about with Fresh n’ Lean’s healthy meal delivery in Milwaukee. Our plant-based dishes never contain gluten, nor are they made with GMOs. Taking advantage of our healthy food delivery in Milwaukee takes all the guess work out of eating a gluten-free diet. Want an easier way to keep up with your healthy eating program? Fresh n’ Lean has your answer. Our healthy meal delivery service in Milwaukee is personalized to meet your own unique nutrition needs, providing you with the strength you want every day. Whether your goal is to drop some weight, improve your overall health, or build lean muscle mass, after you fuel your body right, achieving success becomes a whole lot easier. If you lead a hectic lifestyle our healthy food delivery services in Milwaukee will take away meal preparation stress. Simply take your prepared meals along anywhere you go and you’ll have a nutrition meal ready within minutes. Enjoy delicious, nutritious, healthy and freshly prepared meals delivered to your home anywhere in Milwaukee. If you’re dealing with a health problem such as high blood pressure, eating right has never been more essential and with Fresh n’ Lean healthy meal delivery in Milwaukee, Wisconsin you’ll never go wrong. Any time you put premium quality vitamins and minerals in your body, you’ll work to decrease your chance of disease and keep yourself feeling full of energy and in optimal health. At Fresh n’ Lean, we take great pride in preparing meals that cater to almost any person. Controlling your blood sugar levels are essential, not just for weight management but also to maintain your energy levels consistent. With each of our meals, you’ll have energy for hours. All of our meals are cooked to perfection, full of flavorful ingredients that provide you with the optimal amount of carbs, proteins, and fats.